HULFT Director provides a single interface for streamlined data logistics across multiple platforms and devices, with an intuitive interface that accelerates time to value. Does it feel like your data is swamped in complex code, hampered by unconnected systems, or weakened by security risks? Do you spend precious time and money resolving integration and data transfer issues through an overly complex interface? If so, your business is not alone. However, the future does not have to repeat the past. Tens of thousands of enterprises worldwide have discovered HULFT Director and its cutting-edge data logistics technology as the solution. At the centre of HULFT’s data suite is HULFT Director. This powerful platform brings together HULFT Transfer and HULFT Integrate to provide web-based central management. The extensive features include user authentication, access control, workload processing, and system status updates. This grants you a single system with overarching visibility and management capabilities over your data workflow. This data management platform provides you with system status updates, workload processing, access control, and user authentication. 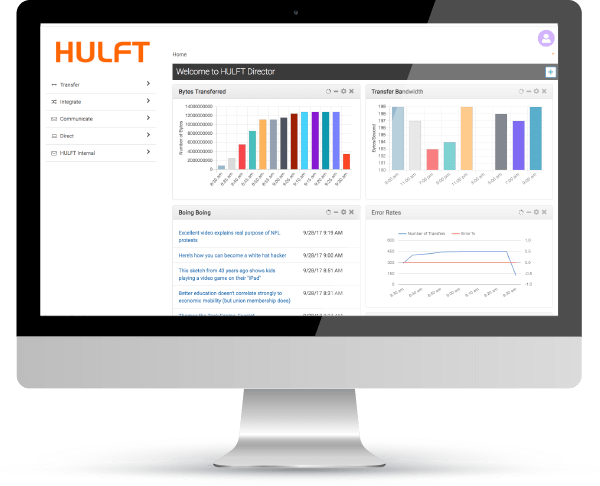 Due to its highly flexible and intuitive interface, HULFT Director reduces the need for lengthy training and ensures long-term ROI. As HULFT’s UK partner, Influential is perfectly placed to offer a comprehensive range of HULFT services. Your business can be confident in HULFT and Influential’s 25 years of experience in the sector. Simplicity: A single interface, with control of multiple platforms and devices, results in streamlined data management. Visibility: Working from a centralised platform, you can extend your management effortlessly across the entire enterprise, including hundreds of machines. It’s never been easier to view, control, move, and integrate data. Security: A holistic view of your data enables greater control of visibility. Define the management rights of individual users. 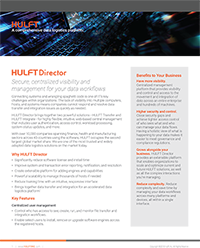 Identify and repair security gaps. Comply with governance and compliance rules with minimum time and effort. Scalability: The ability to manage thousands of hosts with one solution means lower costs and greater returns on investment.